This room is approved by Hotel and Ryokan Management Law. 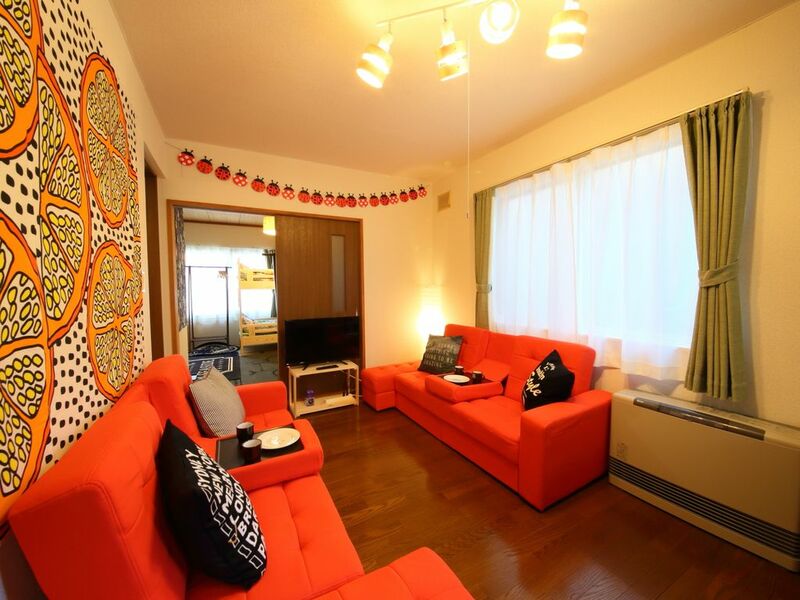 Very clean room which as an easy access to the most famous places - Otaru and other tourist site, the sea, Mt. Tenguyama and Sapporo. Only 6 min walk to the nearest station! 1 min only on taxi! Discount rate applied for taxi users! Close to locations you can experience Japanese atmosphere such as Otaru Canal, Otaru Aquarium and Music Box Museum, and also walking distance to tourist streets and famous and good restaurants! Very clean room with all newly furbished such as furniture and linen. Unlimited WIFI router provided! Clean resort-type rooms with short distance to all tourist spots, mountains, the sea. All furniture is brand new and clean linen and towels are provided. Everything is new and clean. We guarantee great stay in such cosy and relaxed room. This room is exclusive and you will not share the room with others. 2 Double deck beds and 2 sofa beds are provided. 24h unlimited speed WIFI router is provided. Available both inside/outside the room for your smartphone, tablets and PC. You can bring it with you while you are walking around Otaru. You can update your blogs and do internet surfing anytime! Please feel free to use all the facility in the room. We love the location and hospitality. Will recommend to friends.